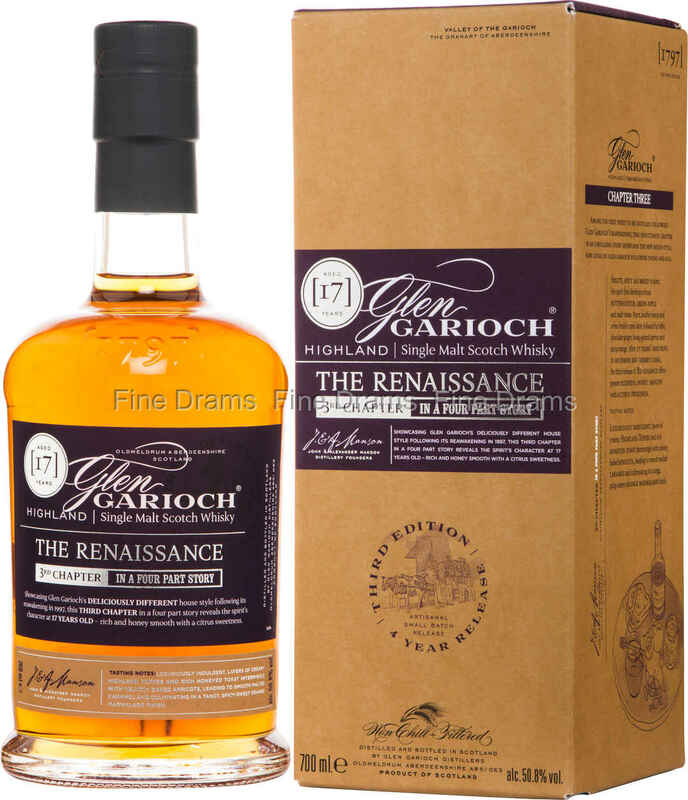 The “Third Chapter” of this distillery’s “Renaissance Series”, this bottling from one of Scotland’s oldest distilleries was originally limited to specialized whisky shops and the distillery’s own visitor centre. The bottling was designed to sit just below the distillery’s excellent 18 year old offering, a niche it fills well. Matured in a mixture of sherry and former Bourbon casks, this is a warm, well-aged dram that maintains an excellent balance between spirit and cask types. This Glen Garioch serves up delightful notes of Seville orange marmalade, dried apricots in syrup, burnt sugar, vanilla fudge, honey on buttered toast, milk chocolate and cinnamon. The whisky benefits from being bottled at a robust 50.8% ABV. An old fashioned Highlander with that classic spicy style, Glen Garioch 17 year old hits a sweet spot of spirit, age and complexity. My first pour from this bottling was really excellent and so much better than Chapter 1. This one has excellent balance between the bourbon and sherry casks. I like the fruity flavor and there is light chocolate as well to go with honey. I was not the least bit disappointed. Will have to see how later pours taste. The 50.8% alcohol was hardly noticeable. My first pour was without water. So far, a really excellent malt!